Technological advancements in various fields have made it effortless for us to do daily tasks with great ease. What was once considered to be moving mountains in the past is now just a few clicks away while sitting on the couch. However, such luxuries have not come cheap and without hard work. It takes a lot of back-end work for such efficient processes to come alive. In today’s fast-paced times, job costing, along with other systems and processes, are needed to be swift and crisp with clear indicators that tell us whether or not, as a business, the right direction is being followed. Job costing helps us to not only get direction but to enhance operations and business activities while growth is achieved along with developing business structure, clientele threshold, employee contentment and, above all, market dominance. The concept of making a profit is not foreign to any business and the whole objective and aim are to thrive while making money. This is where business processes and implementation of systems come in that enable it to spawn better chances of success. Tracking expenditures for each job or task is a vital aspect of good financial practices and it readily gives a birds-eye view of the overall health of a business. Estimated costs on which prices are based are the result of the accuracy of a manager’s assessment of costs incurred at each step during the production of any product. The profitability of each job is reviewed by managers against actual revenue and costs to determine its viability. And, inevitably reviews the performance of each department’s gains or losses. To predict and forecast changes in material and labor costs, managers feverously compare estimated costs with actual costs in order to get a clear picture of what to expect further into the project. Job costing is a fundamental part of a business account. Everything from raw material to shipping is handled with job costing in mind so that mass production is lucrative, while not too burdensome for consumers that it would affect their purchasing power. The single most off-putting act of a business for a consumer is over pricing and this is how not to be a good tradesman. The mark of an excellent tradesman is understanding the needs of a specific industry and to cater to its consumer in the best way possible, even at the expense of putting in more time to put a smile on a client’s face. Job costing is more than just a process. It is a method of creating the optimal environment for the flourishing of the a company. For the over-ambitious tradesman who prefers a sale over a client, it is only a matter of time before their skies come tumbling down with ineffective pricing and costing strategies, inadequate customer relations, and careless inventory management. The ability to foresee market scenarios that affect costing by managers ultimately leads the business towards progressive growth and steady development. The stability of a business relies heavily on the manager’s capacity to determine problems much earlier before they ever occur. Firms, such as advertising agencies or law firms can also adapt job costing due to it being highly scalable. It can be set up to match the exceedingly diverse range of processes, regardless of whether they are related to complex manufacturing operations or a simple minimalistic business process. Directing specific types of costs towards their designated accounts can also direct a business to be on top of their accuracy in account management and cost allocation to its designated step, causing their processes to be lean and spillage free. 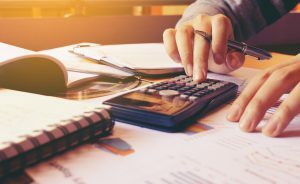 A tradesman needs to have the ability to calculate the indirect costs, such as manufacturing overheads, in order to have that highly vital piece of information that leads to their decisions being overall profitable for their business.